Go, Figures started life as a regular modeling session but in acrylics, not the usual way to go. It evolved into this. 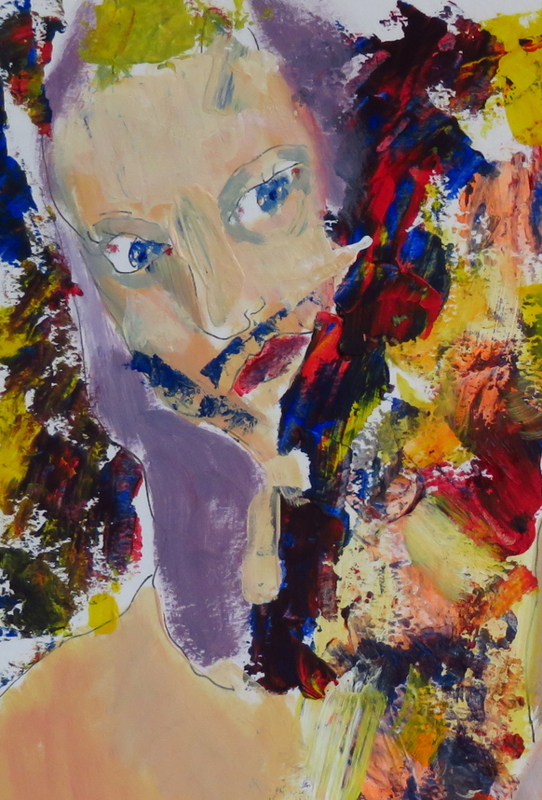 The background is inspired by František Kupka’s Mme Kupka (1910). He was a Czech artist and she his wife. I saw the painting at the Nieu Gallery in NYC, at a special exhibit that included some of Klimt’s famous paintings.